Tri-Tec Manufacturing maintains a modern, fully capable assembly and manufacturing plant where we produce our actuators, couplings, valve closures, and other products. Our facility includes all the advanced equipment and machinery needed for complete, start-to-finish manufacturing. It also features two major assembly areas: one for preparation and testing all of our electrical components, and one for final assembly of our actuator line. With all our manufacturing and assembly processes in-house, we eliminate the need for outside vendors or service partners, which results in significant cost savings passed on to our customers. In-house manufacturing and assembly allows us to closely monitor all processes, ensuring that every last part and component that goes into our products meets our strict quality standards. 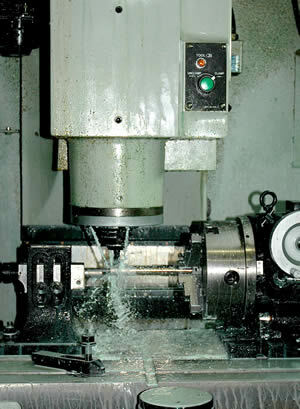 In addition to manufacturing our own products, Tri-Tec has custom machining services and capabilities. Our manufacturing facility includes a full-service machining center designed for the efficient, high precision machining of stainless steel, bronze, and various other materials. Our custom machining team is extremely versatile and highly proficient in SolidWorks, CAMWorks, and other CAD/CAM software systems. With our state-of-the-art custom machining capabilities, nearly any part design can be turned into a tangible product. Our facility’s versatile assembly areas can be rapidly configured to accommodate various components in the assembly of your products. We welcome visits to our facility, and look forward to demonstrating the quality of our custom machining and assembly services. To learn more about Tri-Tec Manufacturing and how we can assist you, please contact us or request a quote today!